I bought this playsuit in the BrandAlley sale and I love it. Had to customise it a bit - added two poppers at the top and below the last button so I'm a bit more covered up! It's near enough perfect now, I love the length of it. I always have problems with playsuits due to my tallness - they always seem so short on me that I'm wary I'm flashing everyone! I hope you all had a lovely weekend and treated your moms on Sunday. 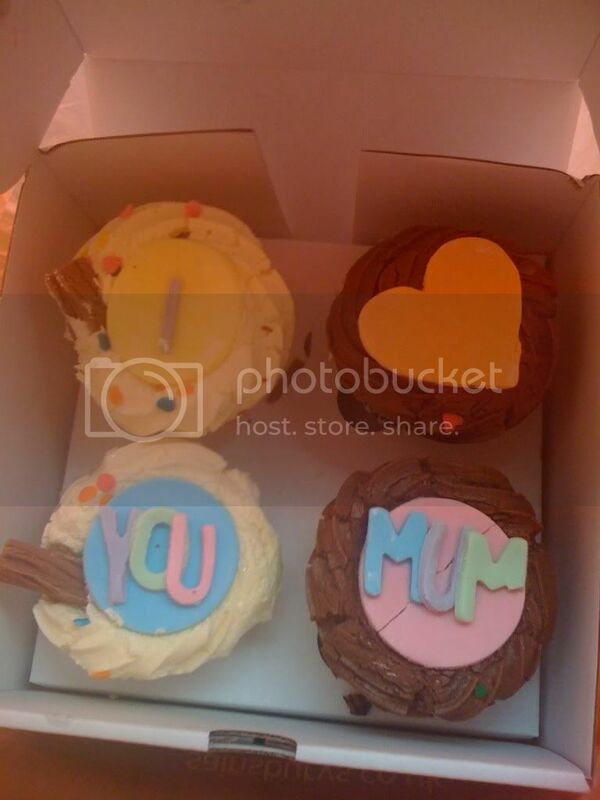 Mine got a box of Mother's Day Fancie cupcakes, which she LOVED. She even let me and my dad have a taste and they are delish! The cat also wanted a try, but alas, he was nudged off the table. I've given myself this week and next to complete quite a few of my assignments, so I can enjoy some of Easter and not be so stressed throughout May. So far, I've done 0. Eek. I'm hoping a good night's sleep tonight will help give me some motivation to get on with some work! You can catch my new posts on Silhouette HEREEE... and our first podcast THEREEE (you finally get to hear my voice, shockbloodyhorror). I've been a very busy bee! These wedges are soo pretty! Love the spots, I'm so in love with play suits, I too have the tallness problem!